A sweater or shirt with a high, narrow collar that folds over itself and covers most of the neck. 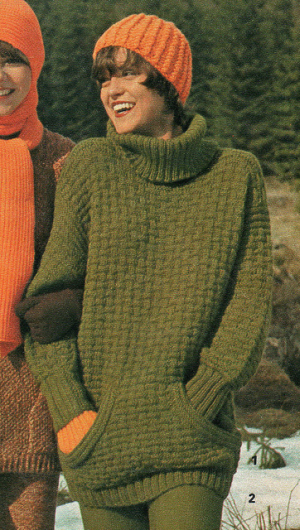 "Turtleneck sweater, Modische Maschen Winter 1977, November 5, 2010" by gytk67 is licensed under CC BY-SA. 2015 Turtleneck. http://www.merriam-webster.com/dictionary/turtleneck, accessed March 2, 2015.